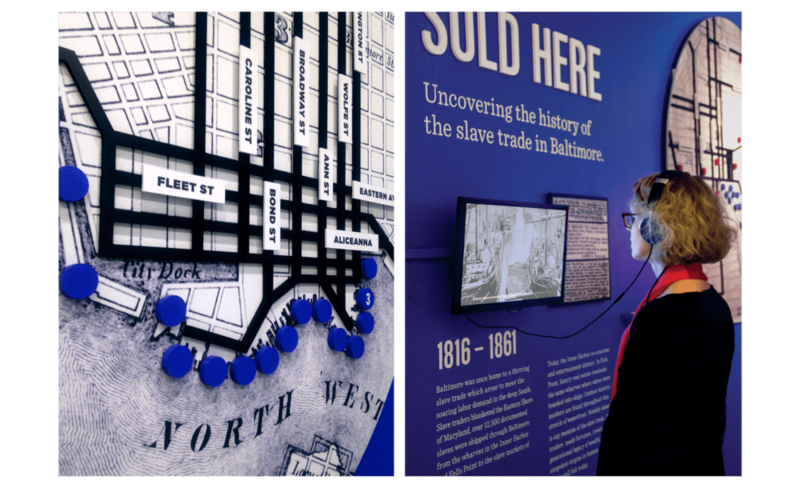 Baltimore's Unspoken Past, Uncovering the history of the slave trade in the city. 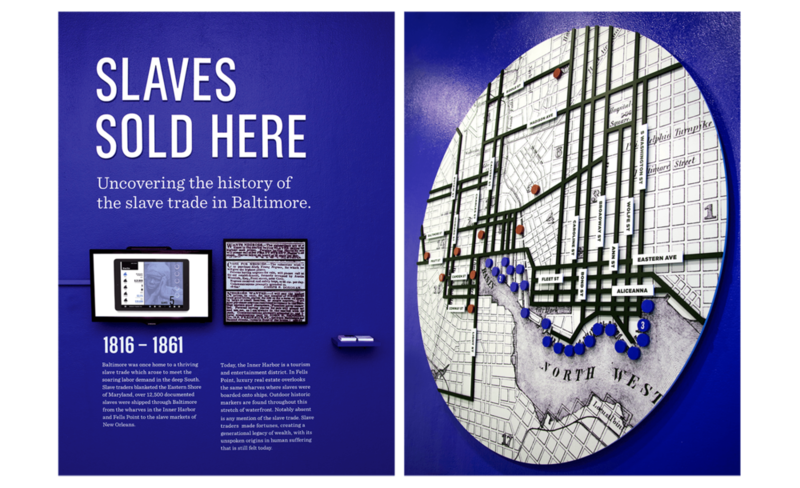 My thesis project centered upon studying Baltimore’s role in the domestic slave trade. 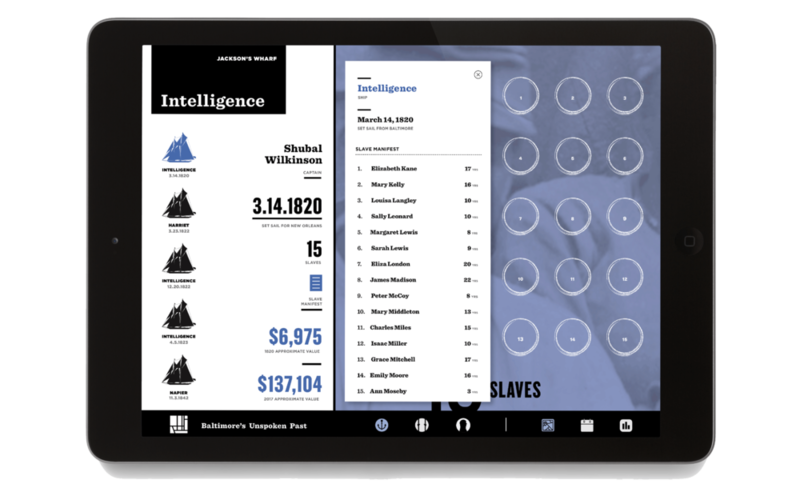 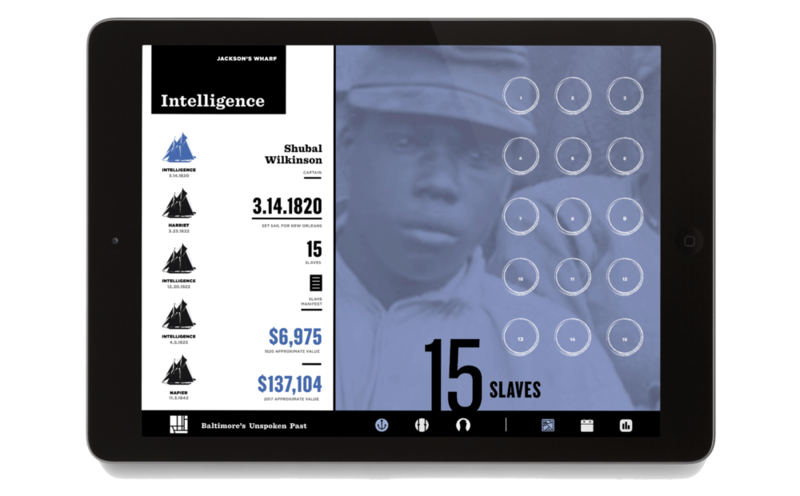 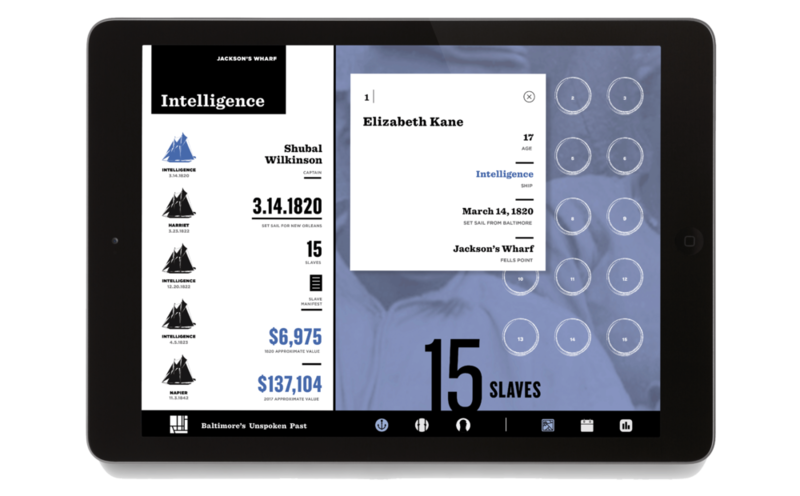 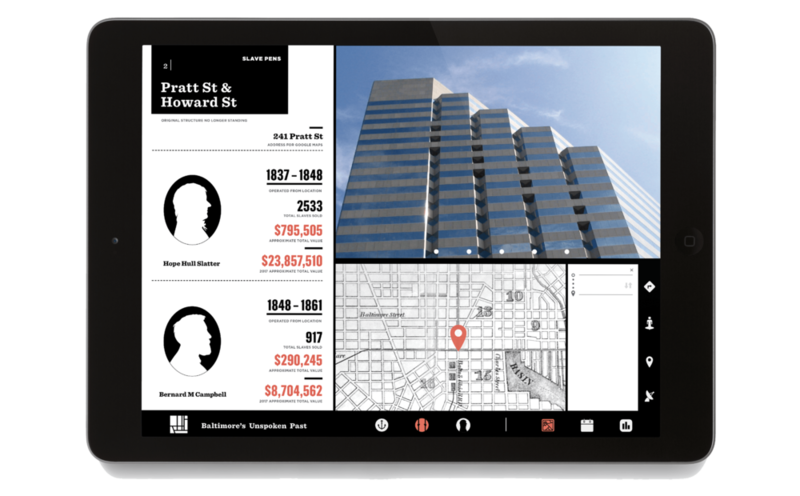 Working from the extensive data compiled by the local historian Ralph Clayton, I designed a prototype for an app that serves as an educational tool, historic tour and memorial to the slave trade in Baltimore.